We zipped across a rather choppy Santa Barbara Channel with a few white caps today, on our way towards the very fertile whale grounds of Santa Cruz Island. 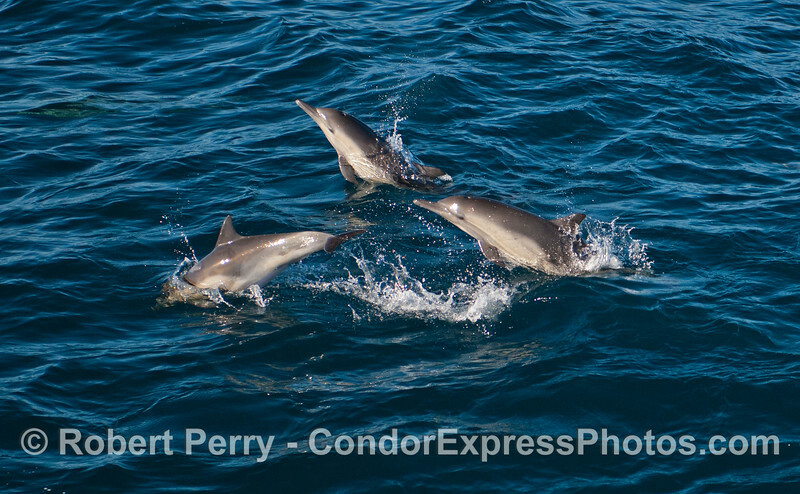 We played briefly with 4 Dall's porpoises around the middle of the Channel. The great news is that once we were within a half mile of the island, the island peaks and cliffs sheltered us from the southwest winds and it was glassy smooth and warm. 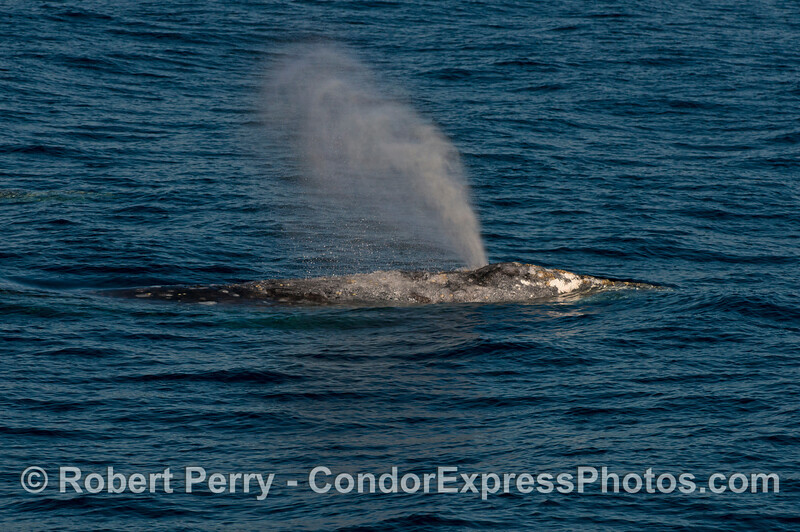 And that is where we found our first four gray whales. 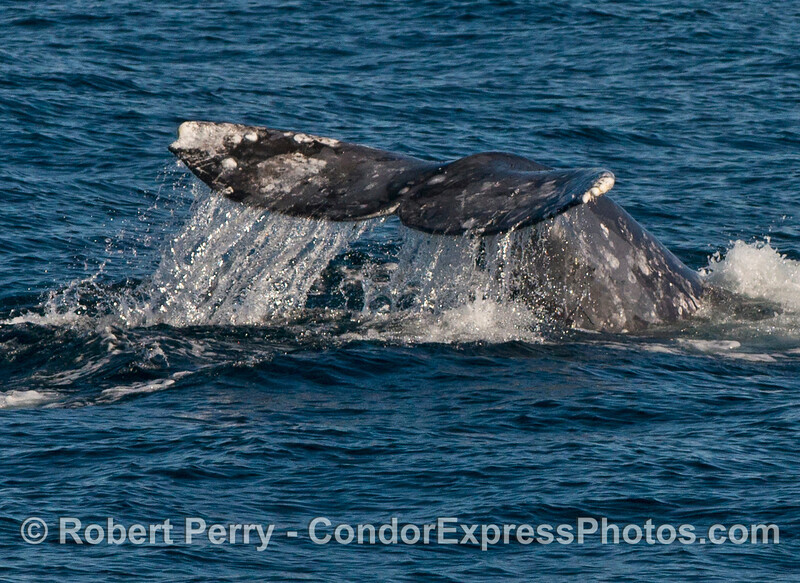 The gray whales were migrating east, as most of them do. 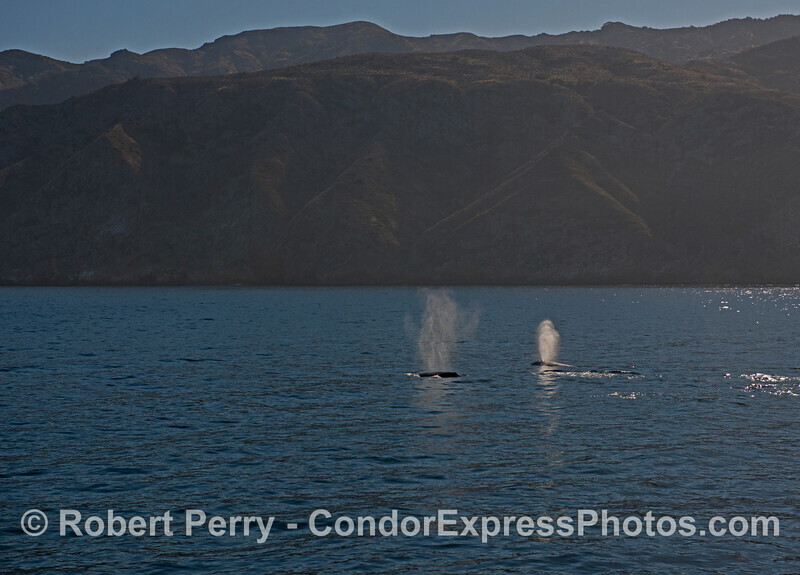 These whales were very regular with 3 or 4 minute down times, and all of them fluked-up practically on every dive. 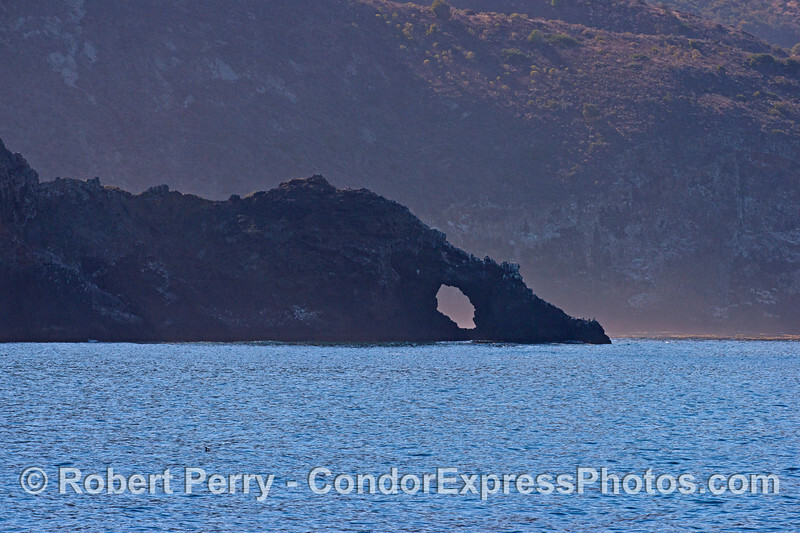 It was a spectacular sight with the sea cliffs of Santa Cruz nearby. 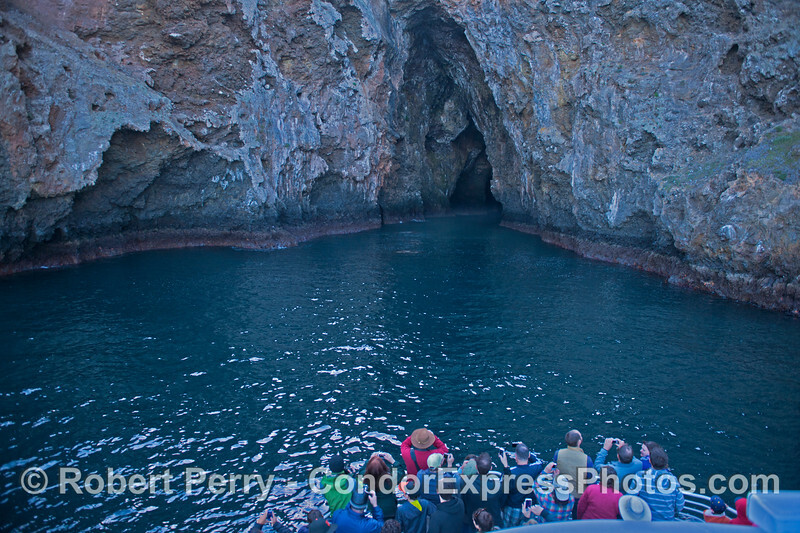 After a good session with these first 4 gray whales we ran inside the famous Painted Cave and everyone was thrilled...as always. 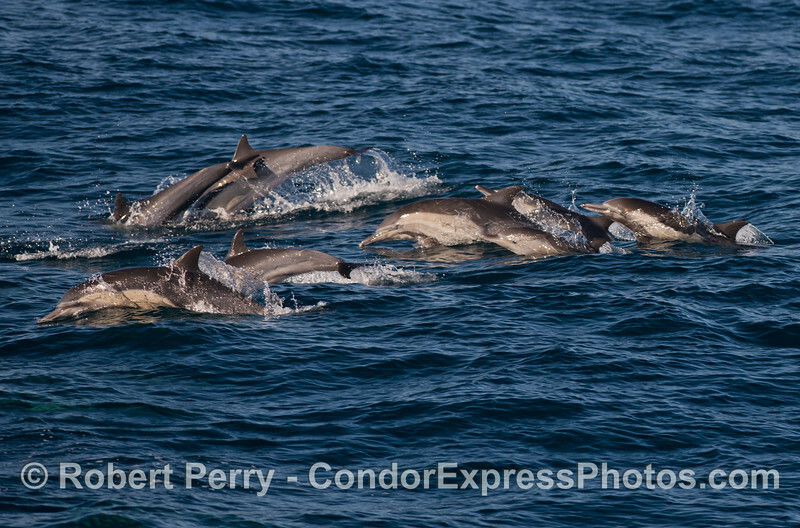 We tried to then push west to find a few Risso's dolphins, but again the windy choppy seas quickly stopped us. 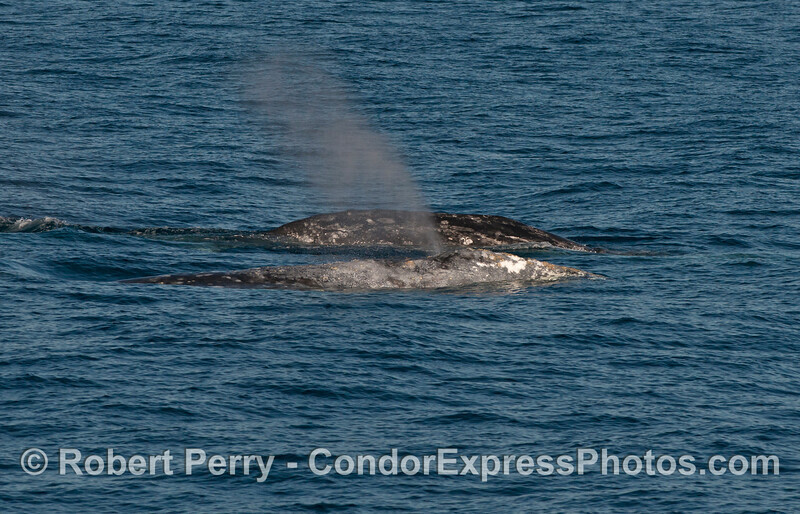 On the way home we ran into a large herd of at least 1,000 common dolphins and two more gray whales heading east out past the oil rigs. Don't forget to click "Map This" to see where we went. 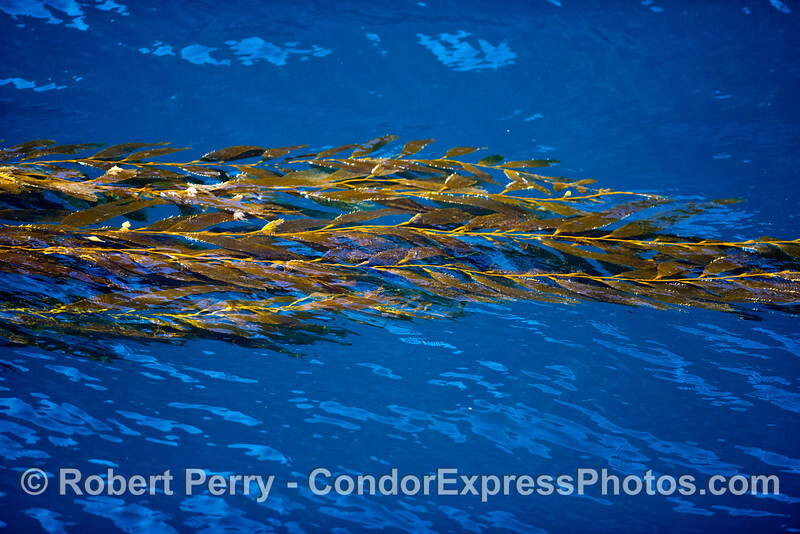 Two long beaked common dolphins (Delphinus capensis) socializing. 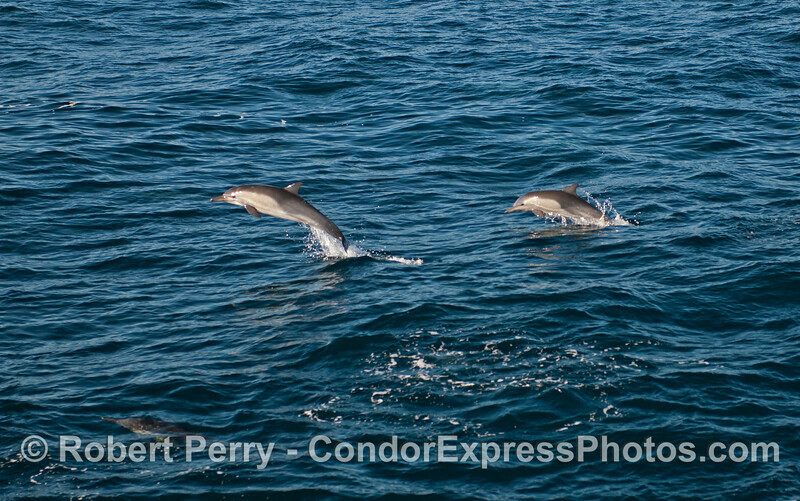 Three long beaked common dolphins (Delphinus capensis) captured in a leaping sequence. 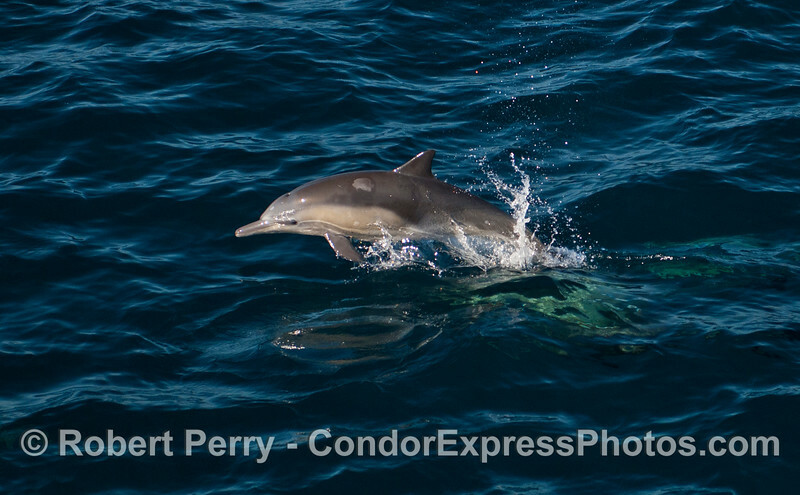 Leaping long beaked common dolphins (Delphinus capensis). 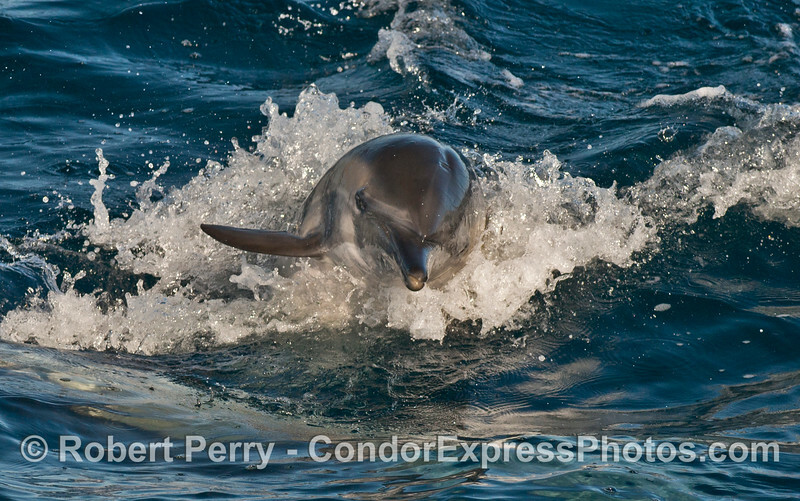 Close up look at a long beaked common dolphin (Delphinus capensis). 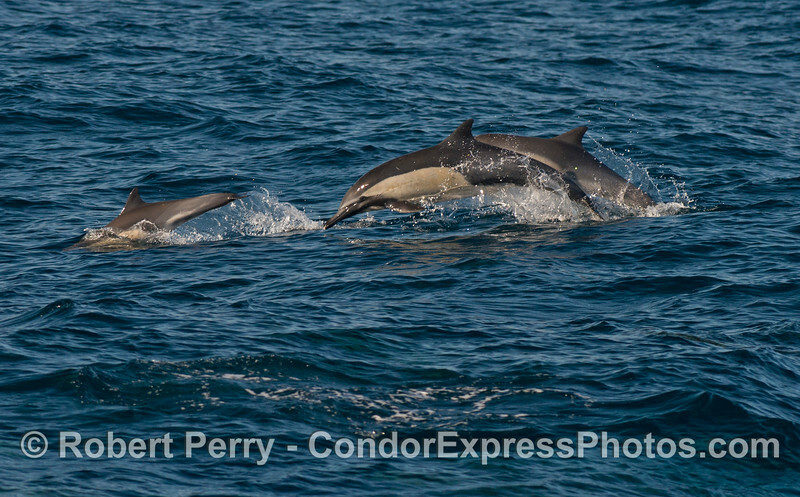 Long beaked common dolphins (Delphinus capensis) on the move. 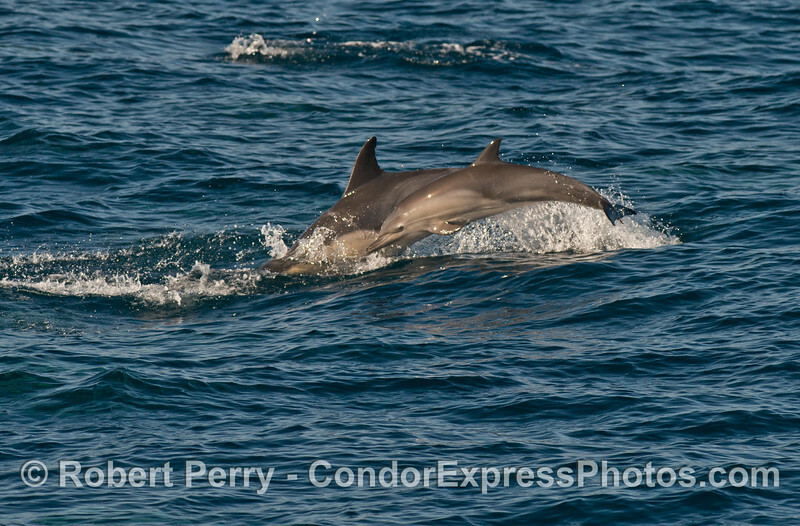 Long beaked common dolphins (Delphinus capensis) - mother and calf. 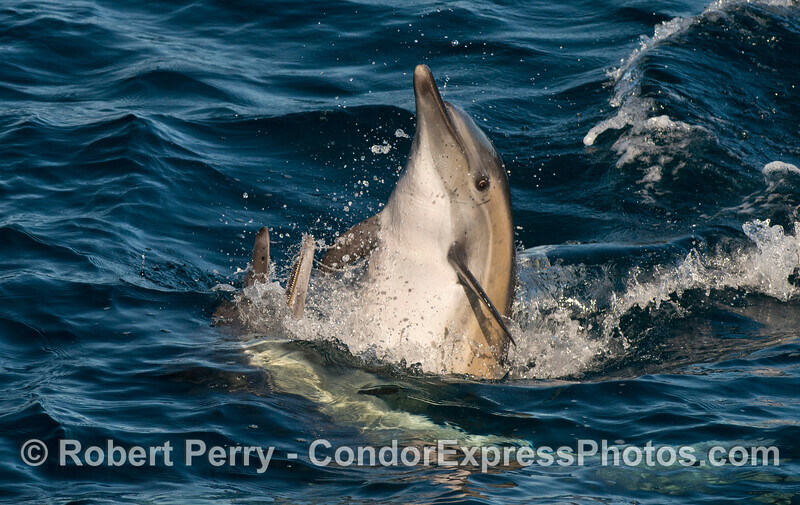 Long beaked common dolphin (Delphinus capensis) leaps directly at the camera! 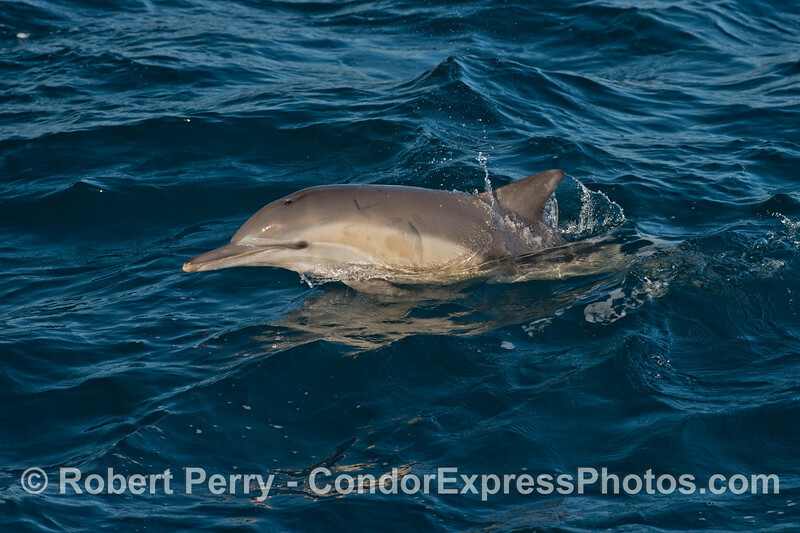 Long beaked common dolphin (Delphinus capensis) framed by deep blue water. 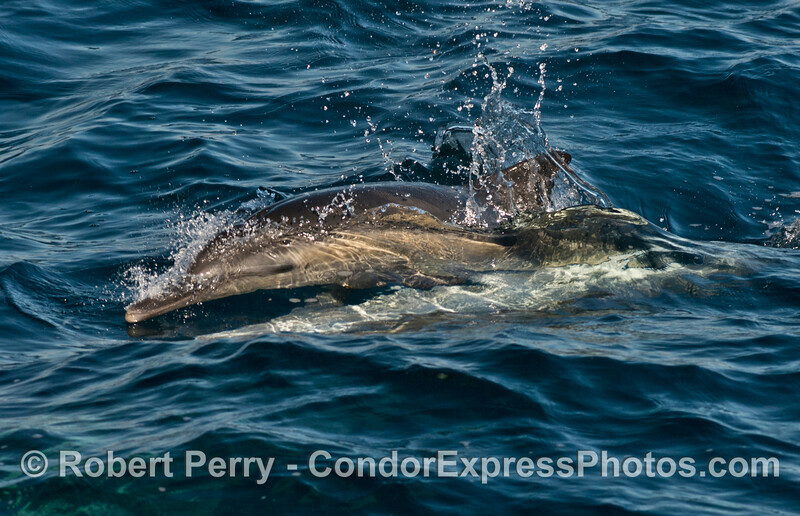 Two mating long beaked common dolphins (Delphinus capensis). 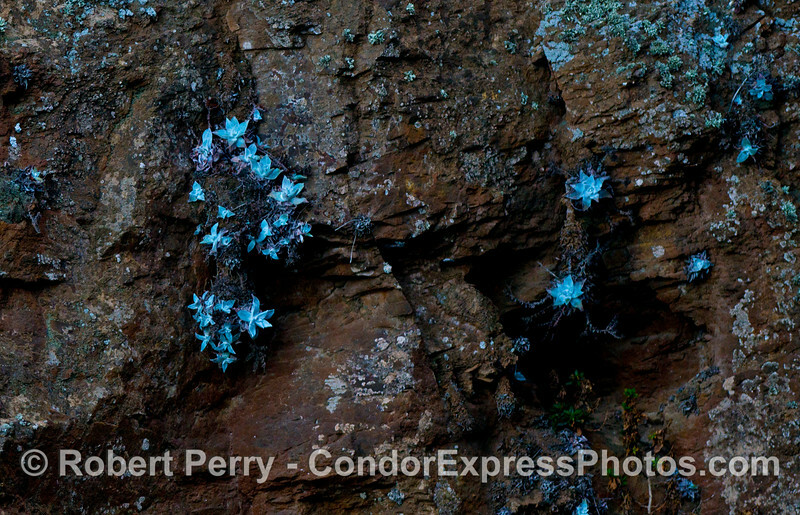 Santa Cruz Island live for-evers (Dudleya nesiotica) on the walls of the famous Painted Cave. 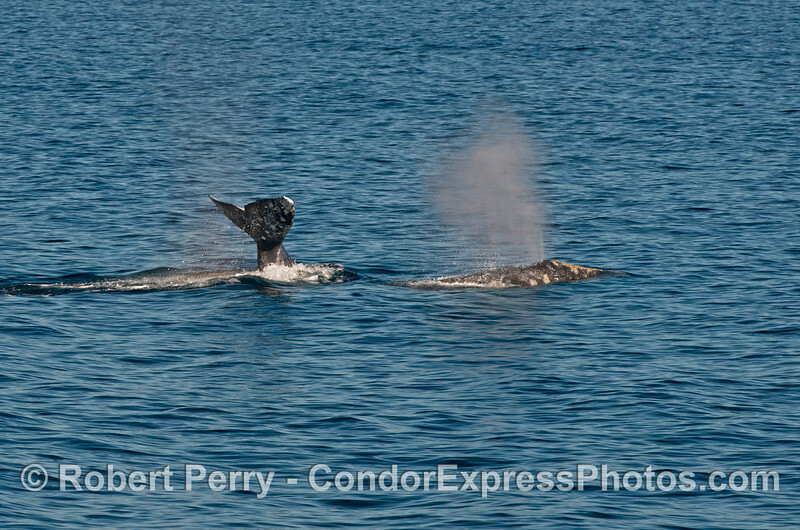 Twin spouts - Pacific gray whales (Eschrichtius robustus) at Santa Cruz Island. 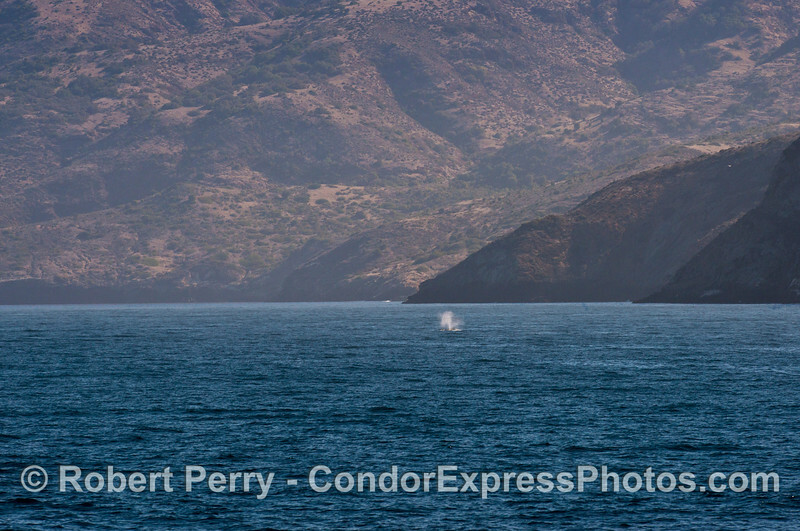 A pacific gray whale (Eschrichtius robustus) at Santa Cruz Island. 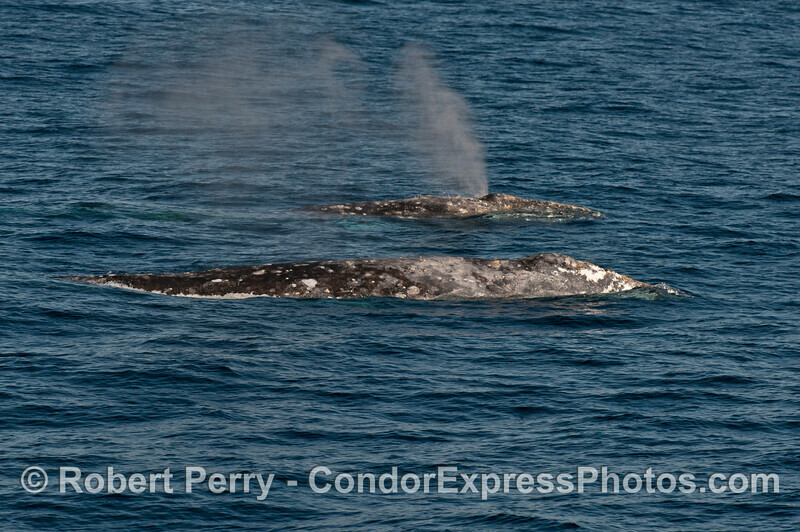 Two Pacific gray whales (Eschrichtius robustus). 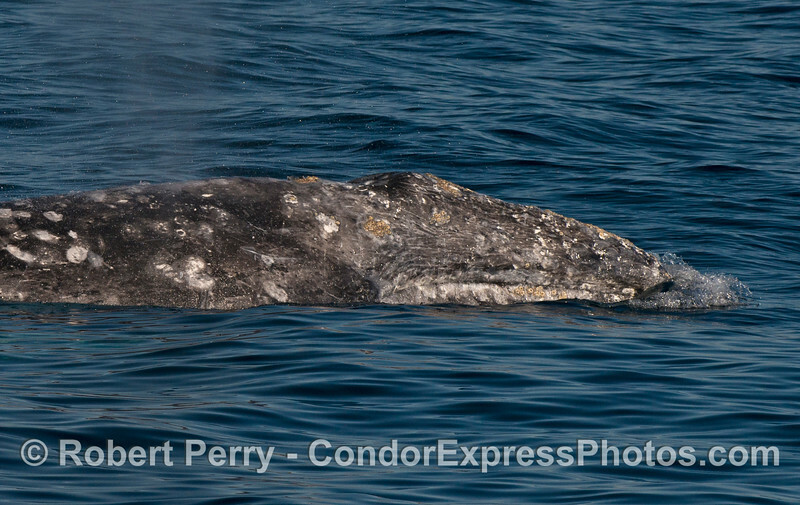 Close look at the head of a Pacific gray whale (Eschrichtius robustus). 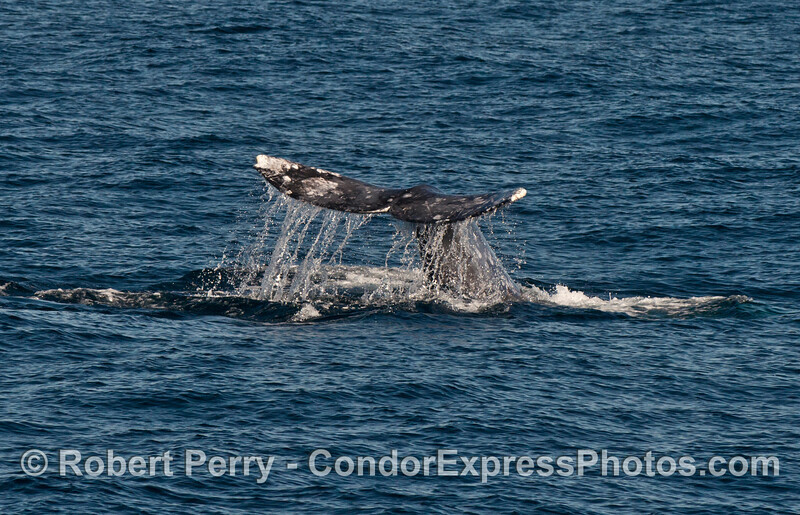 Two spouting Pacific gray whales (Eschrichtius robustus). 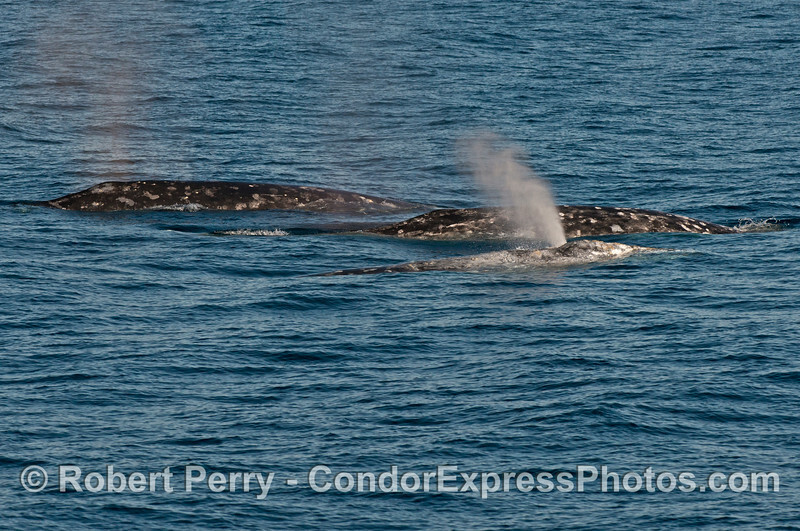 Three Pacific gray whales (Eschrichtius robustus).